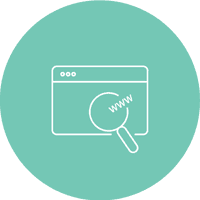 SEO Audits by our team help identify on page content gaps, meta data and site speed improvement opportunities. 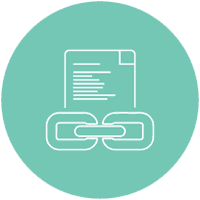 Your link profile is reviewed identifying harmful links impacting progress against your competitors. SEO Melbourne Search Engine Optimisation Audit service is a comprehensive assessment of the search engine friendliness of your website. While several subscription tools and free online websites can even produce reports and somewhat guide you toward the gaps of your website, many of the criteria points measured are often inaccurate and therefore, the most effective approach is a custom SEO Audit by an experienced SEO Agency. Ahead of commencing the SEO Website Audit, a deep understanding of your business and its services and online goals needs to be collected and understood. Key data needs to be obtained including any current Google Ranking Reports as well as access to your Google Analytics Data. This is followed by several questions to better understand your future goals and opportunities including who is your audience, who are your ranked industry competitors, and which phrases have been targeted in the past. An SEO Content Analysis includes reviewing your website and cross referencing whether the very phrases your business should be targeting, is contained in the right places throughout your website. Google finds and indexes text significantly better than imagery, therefore content is still key and king in the mix of priority signals for getting found online. TopRankings completes a comprehensive analysis of your competitors. This action point is critical, as we analyse contribute factors of their strong organic presence and superiority. This includes content length and depth of their website, together with their current link building profile. The analysis helps create a benchmark to match and exceed over time. On page Site Audit SEO criteria includes analysis of your website for key improvements including removal of any duplicate meta data such as page titles and meta descriptions. Another key factor is measuring your website for its speed from a usability standpoint but also against the site speed of your industry competitors and their website speed. A Link Building Site Audit SEO ensures TopRankings reviews your current link profile, identifying toxic links harming your campaign that need to be cleaned. A secondary measure is to identify the link profile of your key competitors, helping to map out the nature of the quality links that need to be acquired to bridge your campaign gaps. TopRankings represented a client in a highly competitive industry, delivering strong organic results contributing directly to their loyalty for a period of over 3 years. While the client experienced a strong and growing ROI from organic traffic, certain key new staff members of the client’s organisation felt that it was perhaps time to consider a ‘fresh alternative’ . A leading SEO Melbourne Agency pitched what appeared to be a very compelling ‘fresh’ approach to ‘improve’ the SEO Campaign. The pitch commenced with a fact finding Website Audit Service. TopRankings lost the account and the client ventured out for a period of 2 years. During the two years, the strong organic footprint achieved by TopRankings was completely destroyed. Not only did the clients website spiral in its organic footprint, it also experienced a Google Penguin Penalty as a result of building a very strong link profile that regretfully focused more on quantity than quality. Furthermore the entire website and its rich content was tampered with which also contributed to the downward spiral of organic traffic. The client returned to TopRankings SEO Melbourne after a two year break, only this time with a great sense of urgency to rescue the business from its sabotaged website. The client’s industry evolved in its service offering and the Strategy had shifted accordingly to meet the revised changes and keyword focus. Commencing with its seo website audit and an ongoing SEO Service campaign, over a short period of a few short months, TopRankings helped the client recover from its Google Penguin Penalty, increasing its organic footprint to an even stronger position since its previous campaign. Most critically TopRankings introduced a number of newer strategies that resulted in a conversion rate increase of 300%. TopRankings continues to represent the client for an additional 3+ years to date. Website SEO Audits are often used by competing SEO Agencies to ‘demonstrate gaps’ in an SEO Campaign. SEO Website Audit Service is important when its done so in a custom and comprehensive manner, but more importantly you should ensure the competing SEO Agency can demonstrate competency in highly competitive industries before jumping ship, as we all know ‘the grass is not always greener on the other side’ even though it may appear to be. As a Melbourne SEO Agency we are proud to be among few TopSEOs to boast such a long-term client loyalty. SEO Website Audit service should be conducted periodically as the landscape continues to change. Google continues to release ongoing revisions and new changes to its algorithms. While many are noticed in the marketplace, not all are publicised or commented on by Google in any official statements. This poses a considerable number of challenges on any SEO Campaign. Some changes are a direct reflection of Google only testing and reverting back the algorithm while others are quite transparent and published through official press releases. An experienced SEO Melbourne Agency must be engaged to properly monitor, evaluate and adapt, but only after a careful assessment. Outside of Google Algorithm changes the only other factor more constant and consistent is your competition. Most industries have fierce competition and the competition includes know players today but also newer competitors that embrace SEO Agencies to catch up and compete to gain a stronger organic footprint and market share against your business. Having a Top SEO Agency like TopRankings arms your business to stay ahead of the pack and retain a consistent advantage and growth online. One of the most important components of an SEO Audit is to clearly identify who the key competitors are in your industry. A competitor is defined as a business that offers the same or similar services and products to your business but is actually strongly ranked in the natural search results of Google for several buyer intent search phrases. The process of defining the right phrases to pursue in an SEO Website Audit, to help conclude who is your top competitor is a delicate balance. To ensure this is actioned with a high degree of competency and accuracy, TopRankings (SEO Service Melbourne) conducts a keyword research analysis which includes any Google Ads Data your business may have, together with collecting an initial seed list of phrases from key people in your business who are able to help define broadly the kind of phrases buyers are Googling. It is important for this exercise to be collaborative between TopRankings and your business as you may know your business and some key terms used in your industry, that many SEO Agencies would not be familiar with as part of a website audit service. Once the keyword phrases are defined TopRankings can identify the trend jointly with you, as to which competitors are truly dominating the organic space – to merit TopRankings to audit their website and identify their SEO Content Strategy and Link Profile to benchmark for your business and its future website’s SEO Campaign. Companies experiencing stagnation in their SEO Campaign with their current SEO Agency provider. Companies who have just experienced a dramatic and worrying drop in rankings and have not recovered from it. Web Agencies seeking competitive advantage to accompany their pitch for a website redevelopment project.